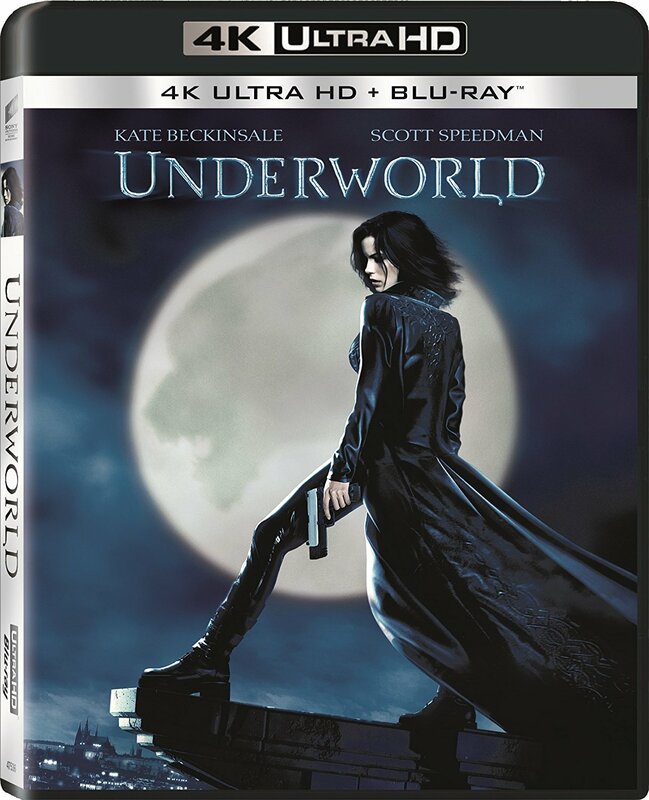 At the time that Underworld first came out in theaters in 2003, it wasn’t imitating other vampire films as much as The Matrix franchise. There may be bloodsuckers and werewolves at the center of the narrative, but this is far more an action film than it is horror. Humans are nearly nonexistent in the narrative, especially once Michael is bitten and begins his transformation. Even with their abilities for transformation and superhuman strength, these creatures often choose to battle each other with firearms instead, keeping the film grounded in action and sci-fi rather than horror. 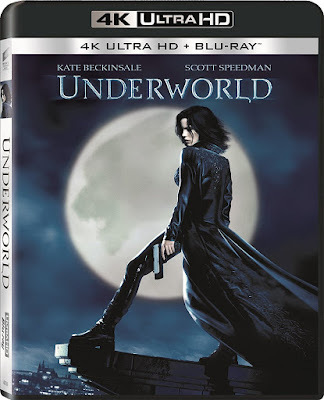 Though the emphasis is more on the fantasy than the horror of the situation, Underworld does feature some impressive morphing sequences for the werewolf characters. And by choosing to do these transformations primarily with practical effects rather than CGI, this may be one of the last truly tactile werewolf movies to be made. Unfortunately, much of the engaging spectacle of Underworld is buried amidst endless sequences of heavy melodrama and complex back-story. Far too much of a film about feuding werewolves and vampires is spent on somber and self-serious dialogue, and the extended cut just increases the imbalance. The narrative may lack the levity necessary to endure the silliness of the story, but the film’s assets are its visual style, which benefit from the 4K Ultra HD presentation. Once you get past the fact that the visuals often steal blatantly from The Matrix, every scene takes place during a dreary rainy night, and each scene is peppered with flashes of lightening every couple of seconds, whether indoor or out, there is a lot of style to be enjoyed. The werewolf effects also benefit from the sharp presentation, even if the film never lives up to the fun promised from these visual effects. The 4K release also comes with Blu-ray and Digital HD copies of the film. The Blu-ray disc also includes a handful of special features, including a commentary track with cast and filmmaker, 7 making-of featurettes, outtakes, and a documentary on the mythical creatures of the film. This material isn’t new, making the 4K presentation the only distinguishing element of this release.